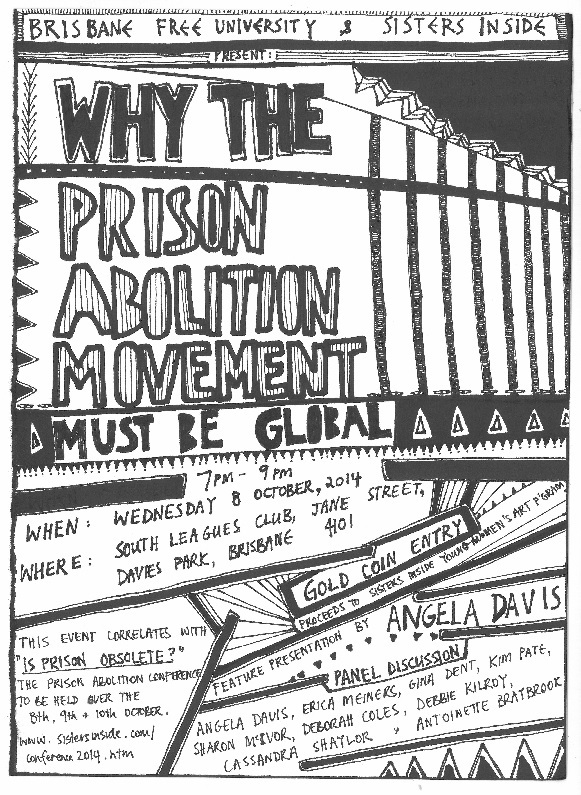 ANGELA DAVIS and DEBBIE KILROY to speak on the movement for prison abolition. Entry by gold coin donation. Money raised will go to the Sisters Inside young Aboriginal women’s art program. Angela Davis will speak alongside other women prisoners’ rights activists.